Miller, P. (1768). Gardener's Dictionary 8th ed. : Abies No. 3. Rhodora: Journal of the New England Botanical Club 34: 190 (1932). Cambridge, MA. 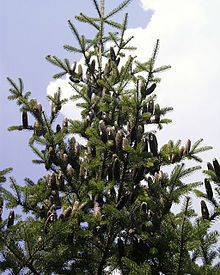 For more multimedia, look at Abies balsamea on Wikimedia Commons.